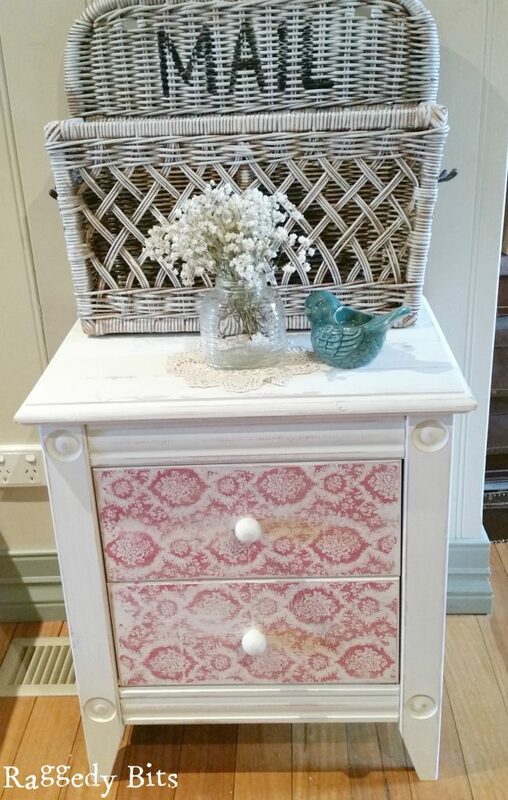 After finding these sweet drawers at a garage sale for $5, the creative juices started flowing and I knew what I was going to do to them to give them. 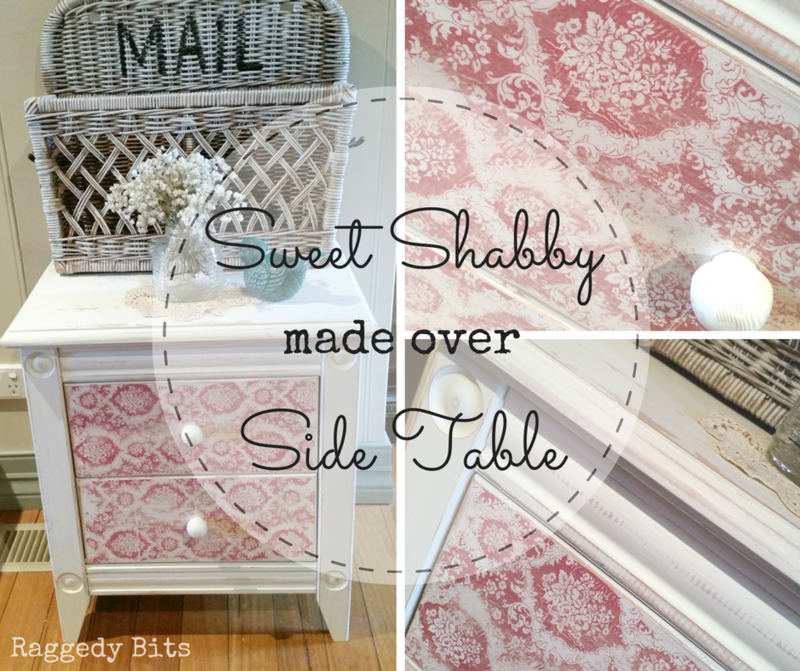 Let me take you on a little journey of a sweet shabby made over the side table. 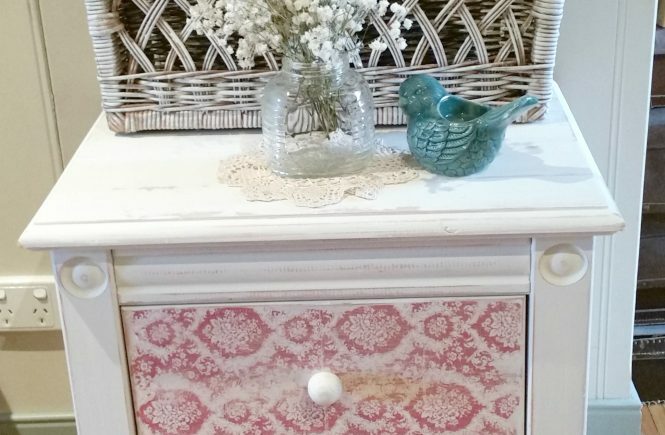 Using some decoupage paper can really transform anything into something beautiful. You will have to forgive me… I did take a “before” photo but didn’t check to see the quality of the photo 🙁 I will do my best to describe how they were before I made them over. The top and the sides were raw pine and badly marked with drink rings and nail polish. The drawers had a little white wash effect over them and were a little grubby. 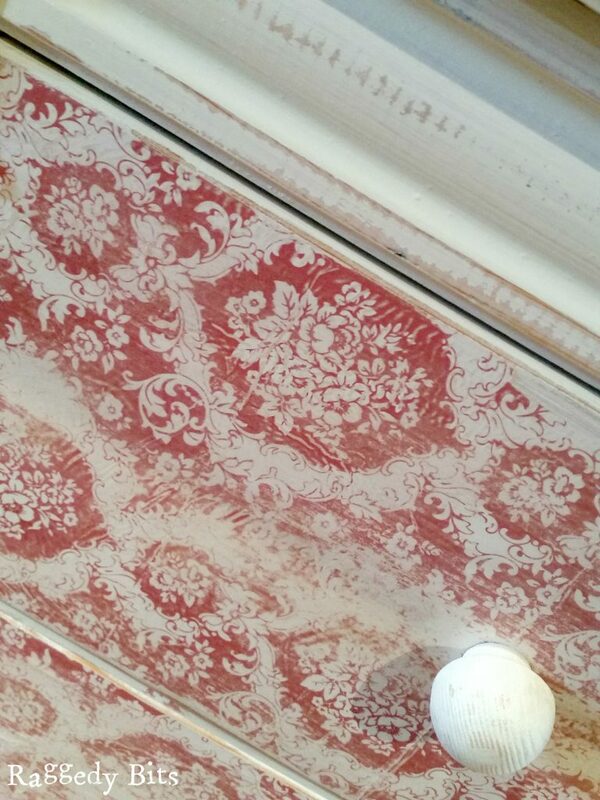 Step 1 – Remove the drawer knobs. Sand the entire piece using 180 grit sandpaper on your sander to remove the marks. Then change the sandpaper over to 120 grit and give a light sand. 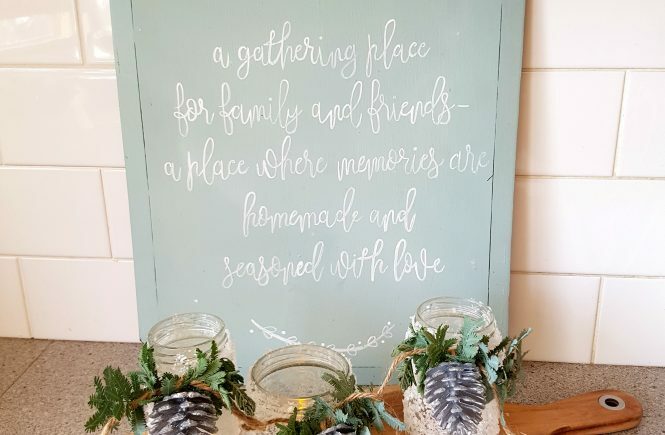 Step 2 – Using chalk paint (I used my own Milk Coloured chalk paint mix ) paint the entire piece. 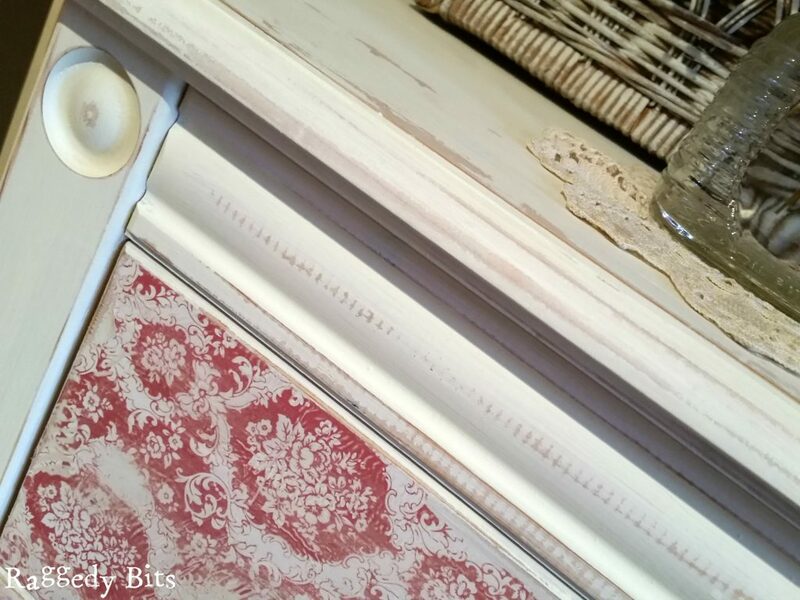 I love using chalk paint as it dries quickly and when sanding it gives a nice distressed look that I love. Step 3 – Distress using your sander with the 120 grit to give a nice distressed look. It is entirely up to you with how heavy handed you want to be! 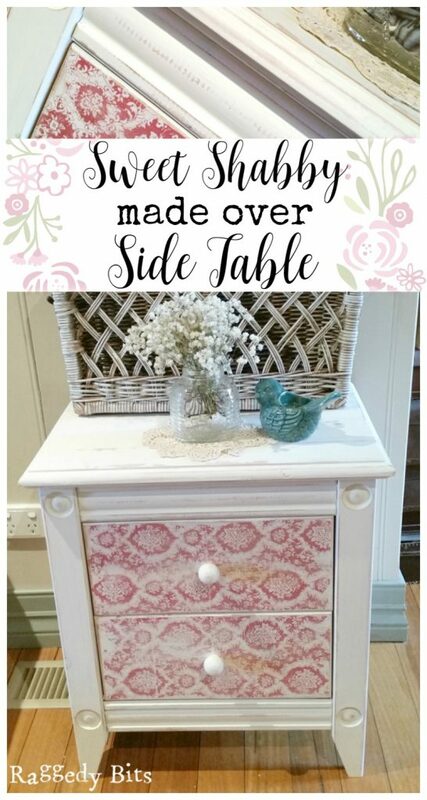 Step 4– Using Mod Podge and some matching decoupage paper, positioned the paper over the draw faces and then let dry overnight. Step 5 – Take your block sander and go around the outside of the drawers to remove any excess paper. Then using my sander I sanded back the entire drawer faces until I achieved a nice worn look. Step 6– Pop the drawer knobs back into place. Then give a nice coat of wax to seal all of the yumminess! And that’s it! 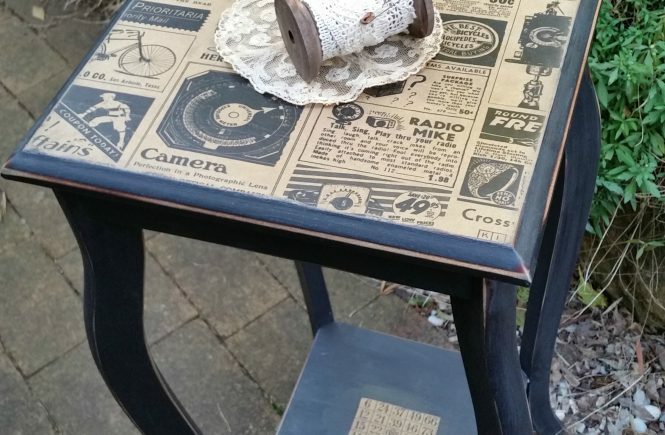 Super nice way to give an old piece of furniture a new lease on life and add a change to your home decor in an instant! I won’t end up keeping this piece and she is for sale in my shop (SOLD) and will take her to market on the weekends! She's a real beauty! I love the paper you used to cover the front, and the distressing gives it the perfect finishing touch. Thanks for sharing at Vintage Inspiration Party. I love this little piece. 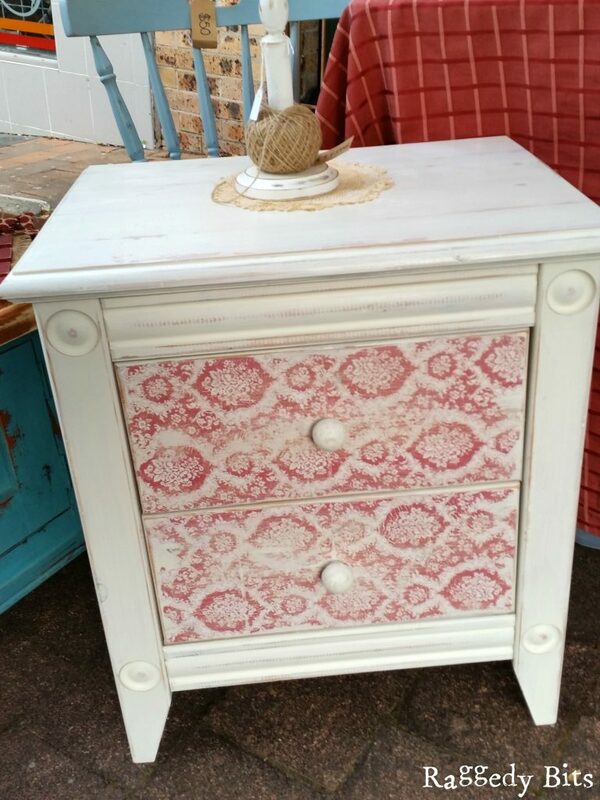 I love the idea of using decoupage on the face of the drawers. Adorable! You really do amazing things with furniture. I wish I lived closer to take advantage of a purchase!!! Thanks so much for stopping by to share your work on Oh My Heartsie Girls WW this week, and the mention above, that is so sweet!! The pattern and the color of the paper added the perfect touch. Lovely! You make it look so easy- and fun! 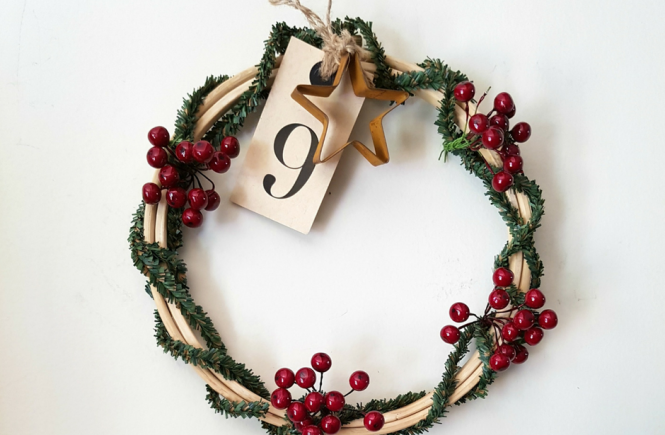 Thanks so much for linking your project to "Let's Talk Vintage!" You sure worked magic with this table. I just love the color and pattern! Thank you so much, Carolann! It was a fun project that’s for sure!